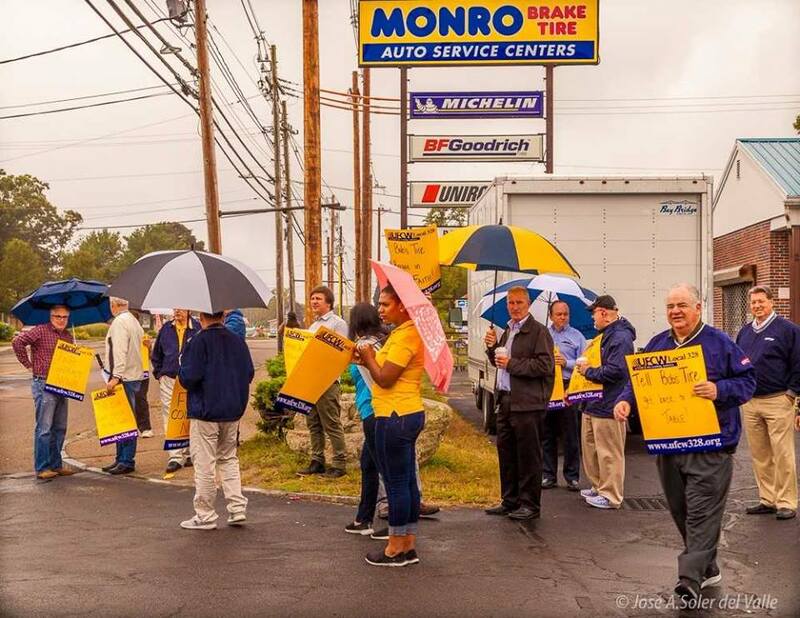 On Monday, September 18th, Local 328 and community and labor allies rallied at Monro Muffler located in Brockton, Massachusetts. 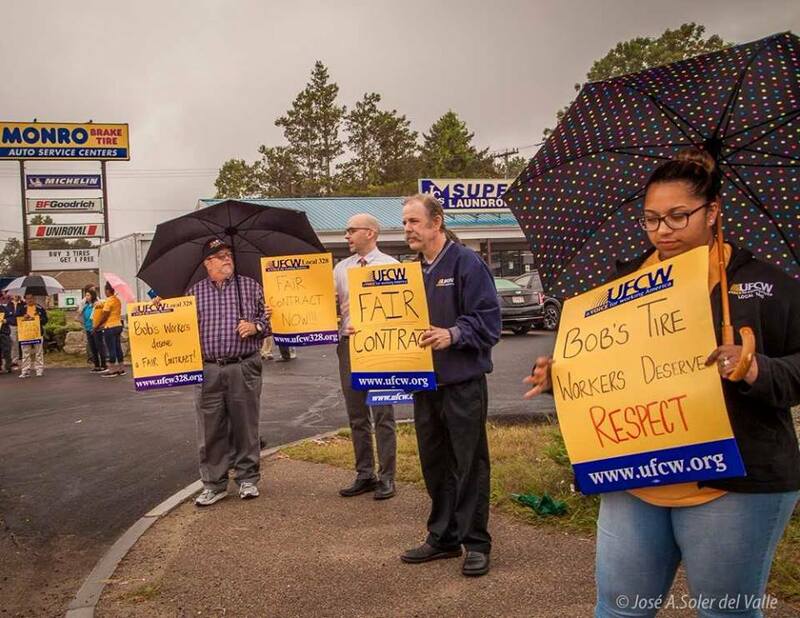 Monro Muffler has been a customer of Bob’s Tire for many years and our message to the company was simple: tell Bob’s Tire to do what is right by his workers and offer an economic package that reflects the hard work they bring to the job each and every day. 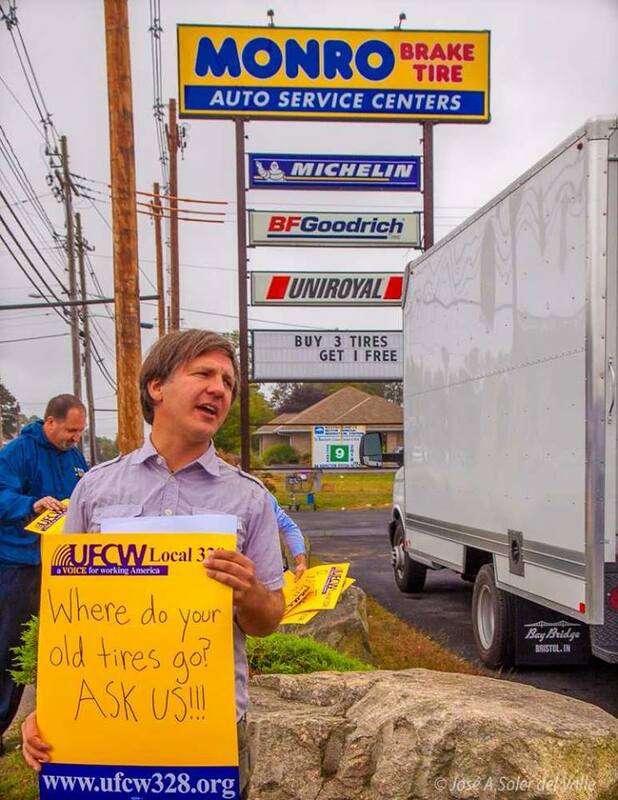 Workers at Bob’s Tire currently have no paid vacations or holidays and most make only minimum wage despite years of service. 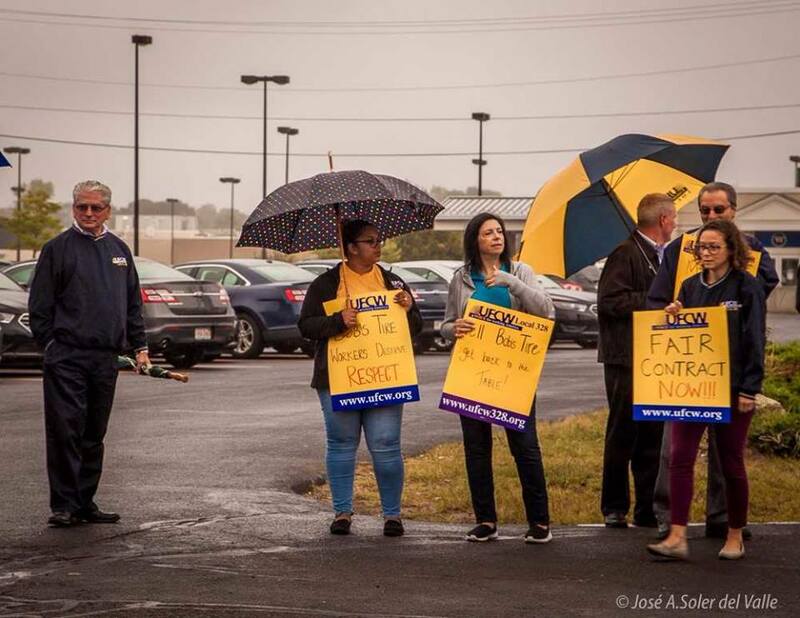 The workers voted in favor of union representation 65-5 and are in the fight to win their first contract. 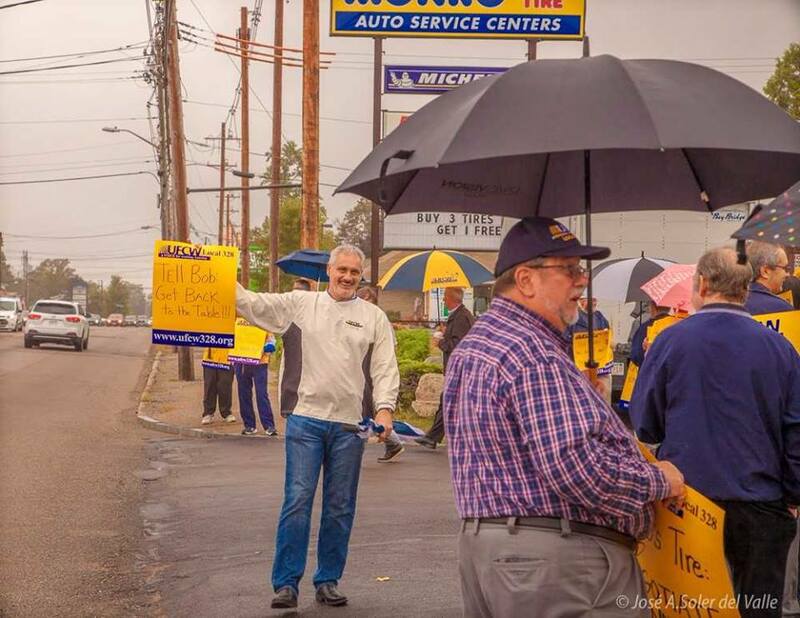 After a few hours of rallying, the manager at Monro Muffler came outside to tell us that they will no longer be doing business with Bob’s Tire. 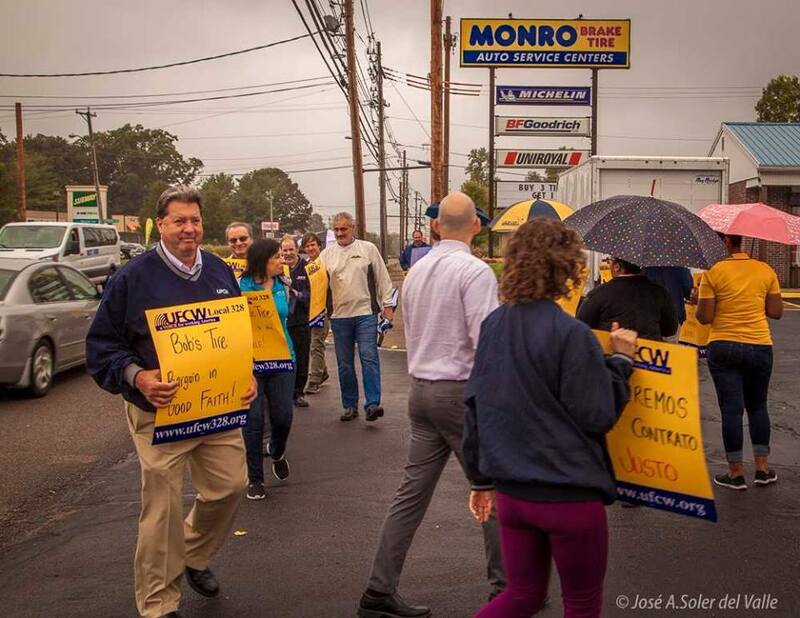 We are pleased that Monro Muffler has made the decision to stand with the workers in their struggle to win dignity and respect on the job. 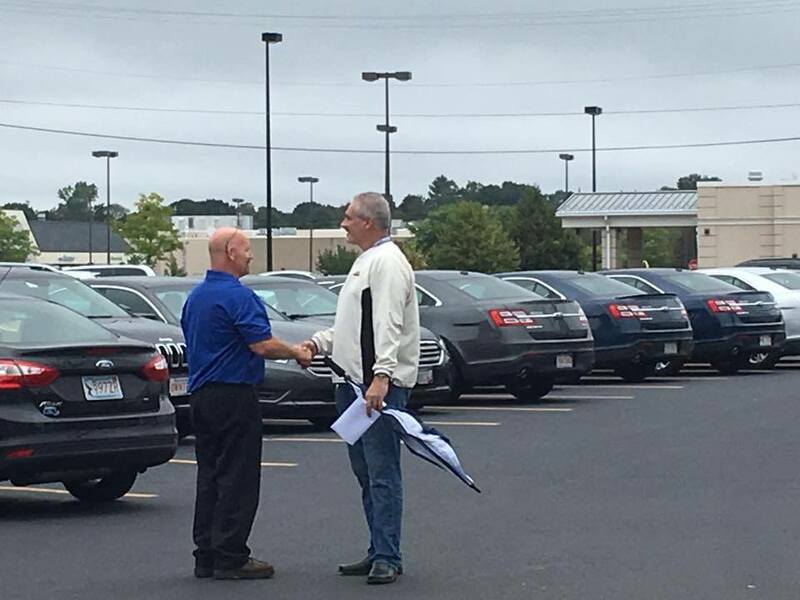 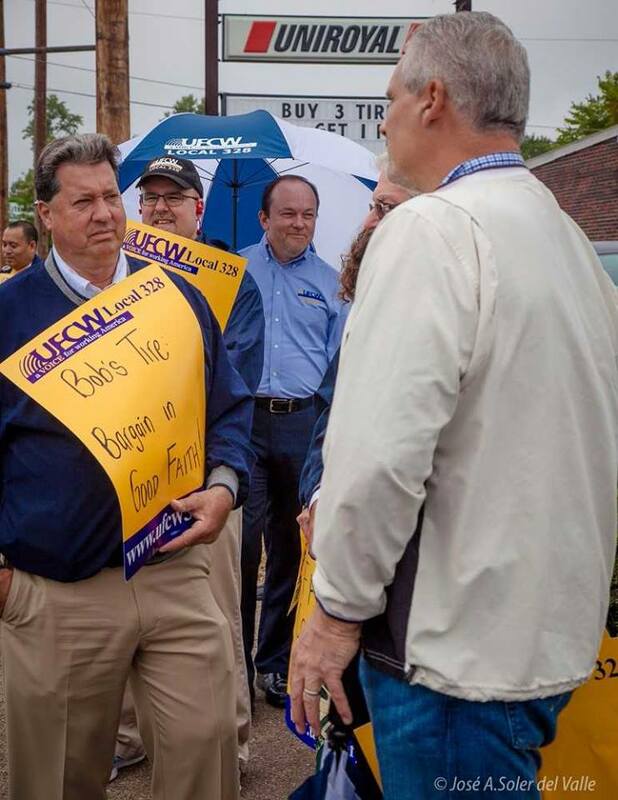 We will continue to apply pressure to both Bob’s Tire and BJ’s Temp Service until the workers win a fair contract. 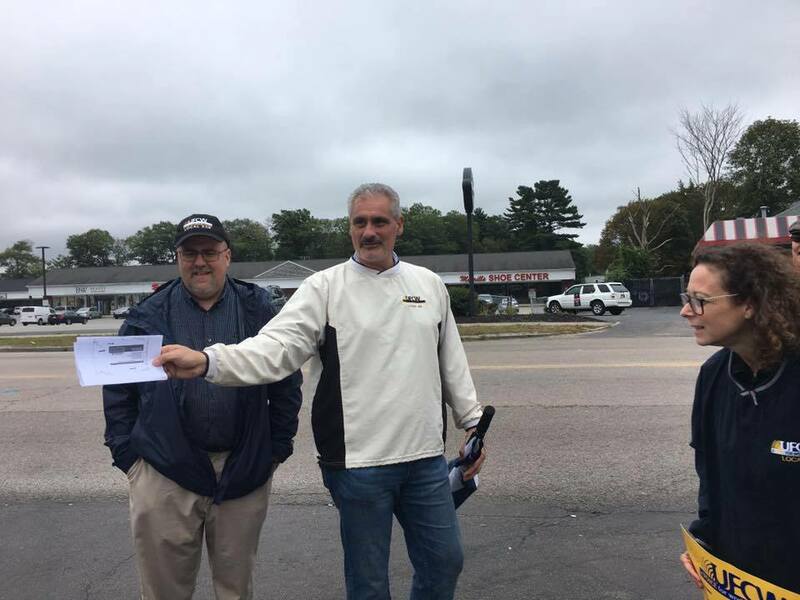 We would like to thank UFCW Local 1445, General Teamsters Local 251 and Greater Southeastern Massachusetts Labor Council for their continued support and solidarity.